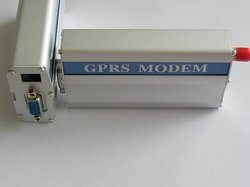 Owing to our vast industrial experience, we are dedicatedly involved in supplying and trading a comprehensive array of GSM Modems. The offered range is strictly in adherence with the predefined quality standards and widely reckoned in the market for its hi-end technological features & advantages. Our professionals make sure to check the entire range under varied quality parameters before delivering in the market. 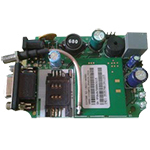 Q2686: EGSM/GPRS 900/1800/850/1900 MHz version with 32 Mb of Bursted Flash memory and 8 Mb of SRAM (32/8). 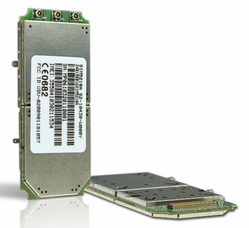 The Q2686 Wireless CPU supports a powerful open software platform (Open AT). 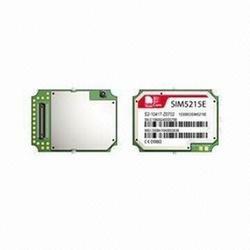 SIM5215E Simcom module series is a Multi-Brand GPS WCDMA/GSM/GPRS/EDGE Module solutions which support WCDMA 384kbps for data transfer. With abundant application capability like embedded LUA Script, TCP/ UDP/FTP/HTTP/HTTPS/SMTP/POP3 and MMS, the module provides much flexibility and ease of integration for customer's application. It's unique camera/video call feature shall add value to security solutions. It is a ideal range for wide range of products including AMR, Gateway, Telematics, Tracking solutions, Security solution and much more. 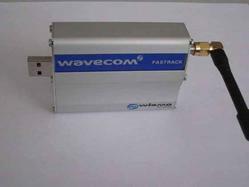 Wavecom GSM / GPRS modem Q2406 is Low cost. Wavecom GSM Modem Q2406 is plug and play Duad band GSM modem that supports Voice, messaging, fax and data transmission of GSM Phase2 +. It can be easily controlled via AT commands. You can get modem with USB or Serial output. It can be directly connected to PC. Available in USB Interface and RS232 Interface. 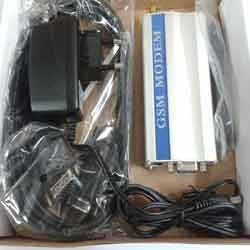 We have with us excellent quality GSM Modem Sim300 which comprises of a on board SMA connector with 3db antenna. This product is specifically fabricated by the professionals as per the strict industrial guidelines. Owing to their reliable performance and longer usage life, our product is highly reckon in the market. Wavecom GSM Modem Q2303a is plug and play quad band GSM modem that supports call and SMS. It can be easily controlled via AT commands. You can get modem with USB or Serial output. It can be directly connected to PC. Support Switching between Voice and Fax etc. 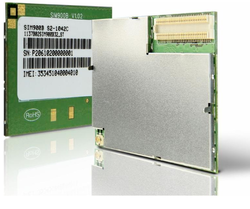 SIMCom presents an ultra compact and reliable wireless module-SIM900. 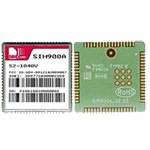 This is a complete Quad-band GSM/GPRS module in a SMT type and designed with a very powerful single-chip processor integrating AMR926EJ-S core, allowing you to benefit from small dimensions and cost-effective solutions. Featuring an industry-standard interface, the SIM900 delivers GSM/GPRS 850/900/1800/1900MHz performance for voice, SMS, Data, and Fax in a small form factor and with low power consumption. With a tiny configuration of 24mm x 24mm x 3 mm, SIM900 can fit almost all the space requirements in your M2M applications, especially for slim and compact demands of design. 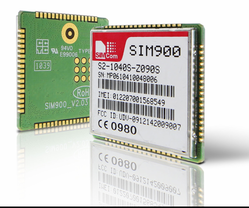 SIMCom presents a compact and reliable wireless module-SIM900B which is compatible with the module-SIM300/340 and SIM340E. This is a complete Quad-band GSM/GPRS module in a B2B type and designed with a very powerful single-chip processor integrating AMR926EJ-S core, allowing you to benefit from small dimensions and cost-effective solutions. Featuring an industry-standard interface, the SIM900B delivers GSM/GPRS 850/900/1800/1900MHz performance for voice, SMS, Data, and Fax in a small form factor and with low power consumption. 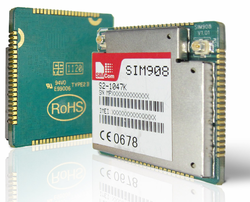 SIM900B can fit almost all requirements in your M2M applications. 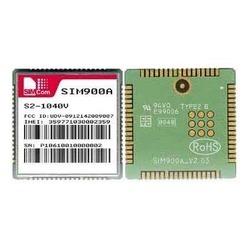 SIM908 module is a complete Quad-Band GSM/GPRS module which combines GPS technology for satellite navigation. The compact design which integrated GPRS and GPS in a SMT package will significantly save both time and costs for customer to develop GPS enabled applications. Featuring an industry-standard interface and GPS function, it allow variable assets to be tracked seamlessly at any location with signal coverage. Our organization hold immense expertise in offering a world class range of SIM Card Holder at market leading prices. The offered product is a kind of surface mount socket which can be used in interfacing the SIM and exploring its content inside. 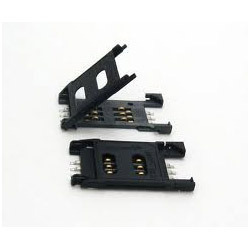 Available in different specifications, these SIM card holders are large enough to be hand soldered. Our range perfectly matches with the industry laid standards and is offered with standard 6 pin connection. 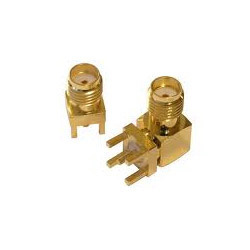 Driven with perfection, we are constantly serving the patrons with quality assured SMA Connector. 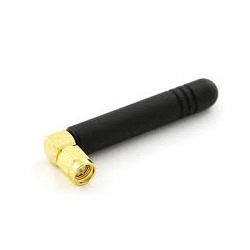 Our product is highly suitable for for prototyping with the cellular devices and GPS that needs an antenna connection.The female signal pin present in these connectors correctly mate with the original SMA type antenna and ensures reliable functioning. Clients can avail these SMA connectors in desired specifications at market leading prices from us. 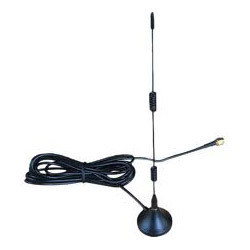 Abiding by the set industrial guidelines, we have bring forth quality tested GSM Antenna for our valuable customers. The offered antennas are widely used for increasing the range of varied RF modules in a economical manner. Our professionals make sure to test the entire range under several industrial parameters before delivering to the customers.